How does a micro-hydropower System work ? 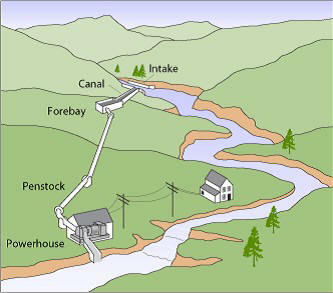 Hydropower systems use the energy in flowing water to produce electricity or mechanical energy. Although there are several ways to harness the moving water to produce energy, run-of-the-river systems, which do not require large storage reservoirs, are often used for micro-hydropower systems. 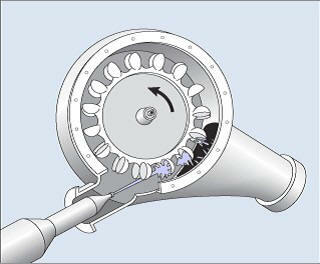 A micro-hydropower system needs a turbine, pump, or waterwheel to transform the energy of flowing water into rotational energy, which is converted into electricity.